We all have those friends who come into our lives at exactly the right time: like it was fate that you met… and then you thank the stars that they came into your life when they did. 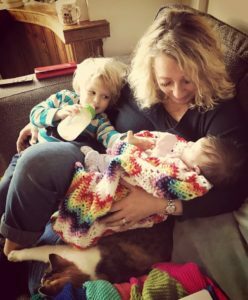 When I was pregnant with Radley, perhaps mostly because of Mum not being around, I knew I wanted to find a doula to guide and support me through the birthing process and a friend introduced me to Verina. I don’t really know where to start with describing the amount of support she has given me, Reuven and our growing family, through two loooong pregnancies, unexpected births and all of the highs and lows in between.